We need plants and flowers to enliven the high road and provide enjoyment for our residents and footfall for our retailers. Planters on Railings can provide us with year round flowers and joy. We all feel better when we see greenery and flowers and our high roads are dull and dreary without them. 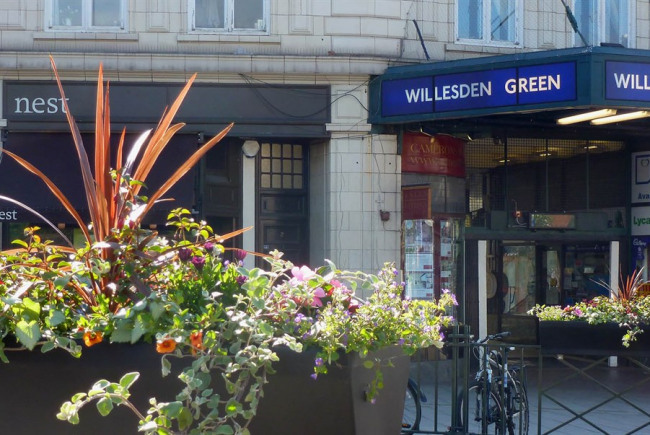 We would like to provide boxes and railing planters along our high road - we lack green space and public areas - to make the area more inviting and to provide joy to passers-by. Our experience has also shown that flowers improve footfall and thus turnover for our retailers and also encourage our retailers to participate and plant their own boxes and flowers. Provide planted boxes and railing planters along the high roads. 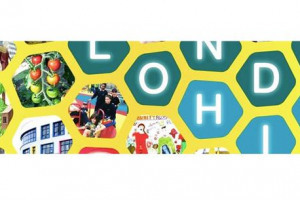 We live and work locally in a built up area within North London. We have a typical long high road (over one and half miles) of small independent shops with no public space or green area. 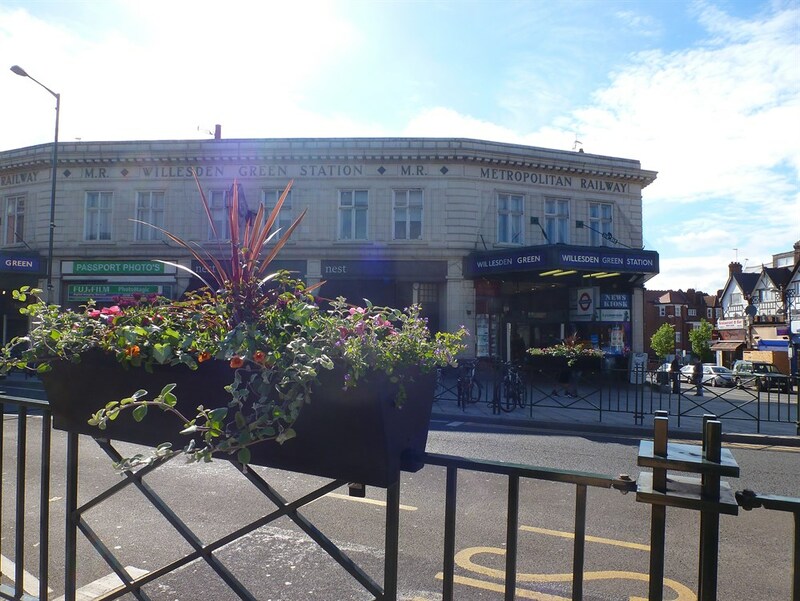 We have already planted 20 trees along the road and have put planters outside one Tube station (we have two) and everyone comments on how they raise their spirits to see them. 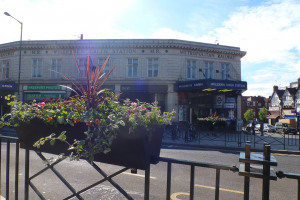 It has also provided increased turnover for the cafe situated by the station, who has also planted his own tubs as he didn't want to be out done. In fact new cafes are also planting as they realise that increases footfall. However, we cannot rely just on the retailers as many are struggling and we have a large proportion of empty premises too. We find that cleaning up and improving the general environment encourages less anti-social behaviour such as litter and tagging. Flower planting is one major element in this environmental improvement. We have a local contractor who will provide the basics but also our volunteers will assist in looking after the boxes. 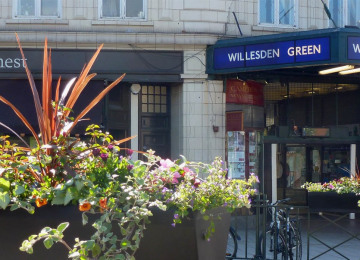 Willesden Green Town Team has been working together since 2012 to improve the High Road from Walm Lane to Dudden Hill. 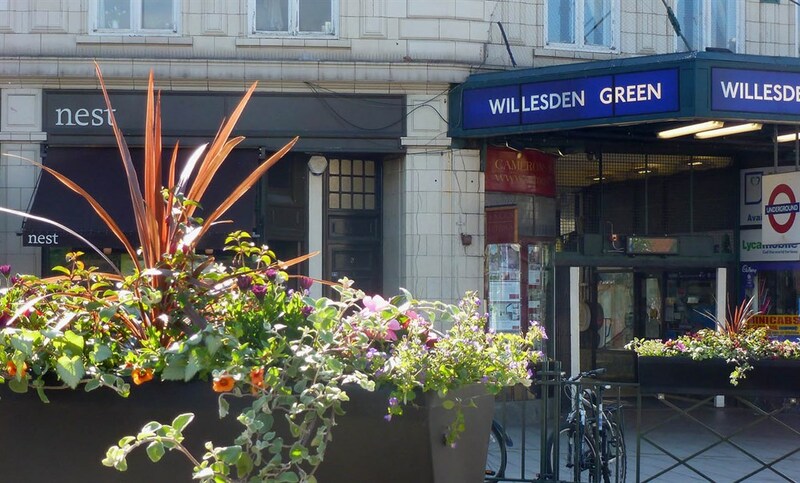 For thriving, vibrant and economically sustainable Willesden Green and Dudden Hill town centres. A diverse community working together, each to his own ability, means, and inclination to the benefit of all, both individuals and groups, however large or small. 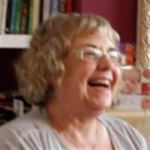 A community which advances the commercial and social development of both the community and the town centres through embracing and enlarging the talents of all. A community which works in partnership and collaboration for the benefit of both Willesden Green and Dudden Hill, and all those who live, work and visit there.